Well, I guess i have MORE homework to do after reading this piece. 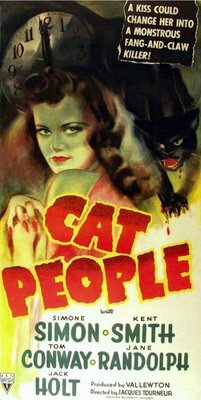 i have never seen the original Cat People. I have seen the 82 remake. However, I was an adolescent and recall it as being quite sexual and way over my head. I will have to revisit it now that I have a few years under my belt. Had you noticed the Bowie song as it played in Inglorious Basterds? Your eye for detail is to be admired. Or should I have said your “ear” for detail?